Today, the trend of using airport limo service in Toronto has become prevalent. Well, there are innumerable reasons behind the rising trend of limousine service. One most evident reason is that these days the price of renting a personal limousine has gone down significantly as compared to the earlier years. A few years back it was only the high-class people or celebrities who used to travel in luxury cars like limousines and the SUVs, but today everyone has access to these luxurious transportations. The major aspect leading to price reduction of a limo hire is the existence of a larger number of car rental firms, which guided to tougher rivalry among them. So, to attract more customers they had to lower their service charges. This really did miracles for both the limo owners and customers. Earlier the limousines were limited to a certain category of people; today they’ve turned out to be the most preferred means of transportation all over the globe and their most preferred usage is as airport transportation. Another reason people opting for a limousine as airport transportation is that they’re the most dependable, quick and prompt form of transportation. The best thing about Toronto airport limo is that they are booked on advance which means that they will be waiting for you when reach at the terminal. You don’t need to hang around and go through the tiresome task of getting yourself a shuttle or taxi to reach your destination. Furthermore, most airport limo services have professional chauffeurs who’re trained wonderfully to attend commuters in a professional manner. They exactly know how to treat a customer and also how to develop a friendly bonding with them. At Toronto Airport Limos, we’re a fully integrated limo service and dedicated to offer affordable airport limo services in Toronto to the entire Greater Toronto Area and Southern Ontario. Whether you are a corporate client or a normal traveler, our only goal is to assure you reach your destination with comfort, style and on time. Our Toronto limo services include, but not limited to corporate parties, wedding ceremony, birthday party, sporting events, weekend getaways and wine tours. We can assure you a safe and comfortable journey. 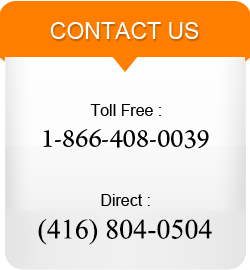 Please feel free to dial us at +1 866 408 0039 if you need any kind of help.